What are these and why/how should they be set? 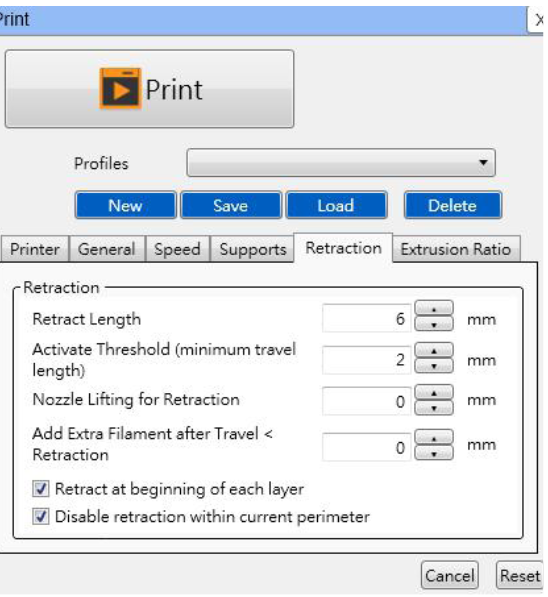 Retraction is the reversal of the direction of the filament and is generally used when moving from one non-contiguous point of the print to another, in order to prevent stringing and oozing of the filament. If retraction is not employed then the filament still coming out of the nozzle, after the last point was printed (and paused), will stretch, thus creating a fine string, as the print head is moved to the next position where printing is to recommence. The retraction speed is the speed at which the filament is retracted, or pulled back (by the extruder stepper), and the retraction length is the amount that is pulled back. The speed for pulling filament backwards. Refer to the function introduction in the next chapter for more about retraction. Cooperation of retraction speed and other print speeds will affect feeding stability directly in printing. A print speed slightly faster than the retraction speed would prevent material squeeze from interrupt. However, the manual doesn't then go on to give any setting. However, the default settings should suffice, unless you are experiencing issues with stringing and/or oozing. The retraction function includes two setting options. One is retraction length and the other is retraction speed. The retraction length determines how much melted filament will be pulled out of the nozzle. In general, the more plastic that is retracted from the nozzle, the less likely the nozzle is to ooze while moving. As for the issue, the default setting in the expert mode is enough for you to solve the problem. If you encounter stringing with your print job, you can increase the retraction length slightly to test again to see if the performance improves. 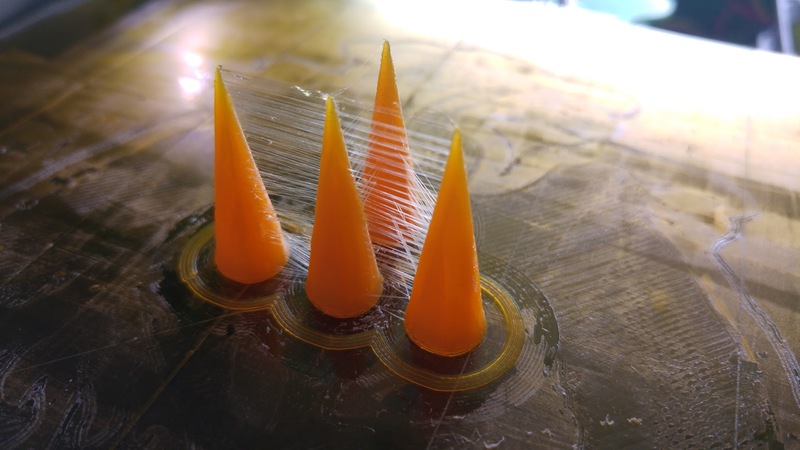 The retraction speed determines how fast the filament is retracted from the nozzle. If the speed is too low, it will make no difference to your print job., the melted filament will still drop down through the nozzle and leave on the model. On the contrary, if the speed is too fast, the filament will be back to the nozzle and cannot be extruded out in the next movement of printing. As for the retraction speed setting, users can reserve the default setting which is perfect for almost every models. 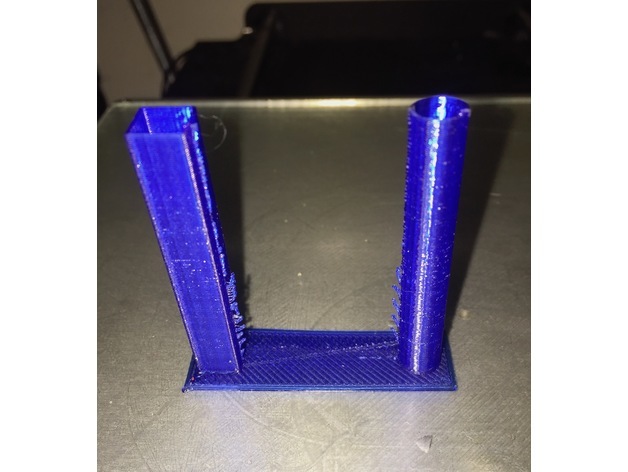 According to my experience2 it is generally a good idea to add 2 to 4 mm of retraction to a bowden setup in comparison to a direct drive when dialing in the perfect retraction. This is, because some distance is "eaten" by the flex of the Bowden tube. Not the answer you're looking for? Browse other questions tagged print-quality retraction or ask your own question. Why does print fall apart at beginning of top layer?